100th Night was this past Friday and we were able to attend and get some pictures. It was a great event for the Firsties and a chance for them to be able to see some of their Legacy Class Members who have been by their side for the last four years. 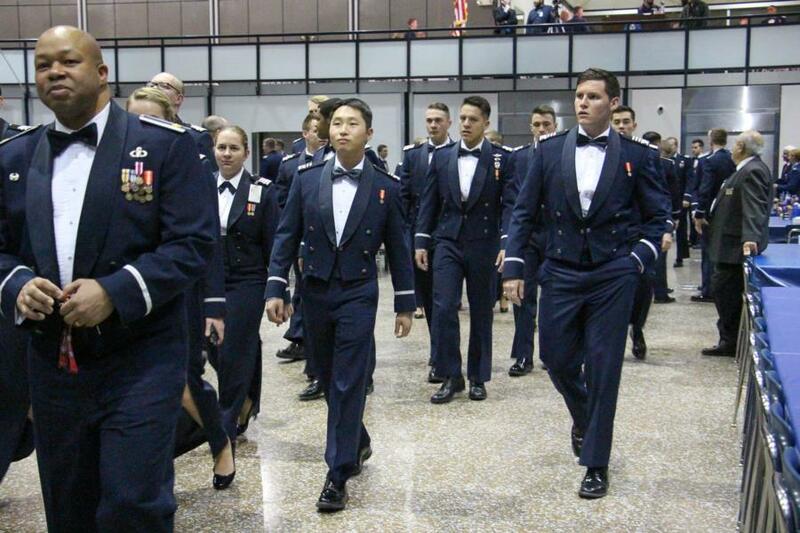 100th night for the first-class cadets takes place roughly 100 nights before graduation. It is an opportunity for the first-class cadets to join with the Legacy Class and celebrate 100 days to graduation and commission as second lieutenants. 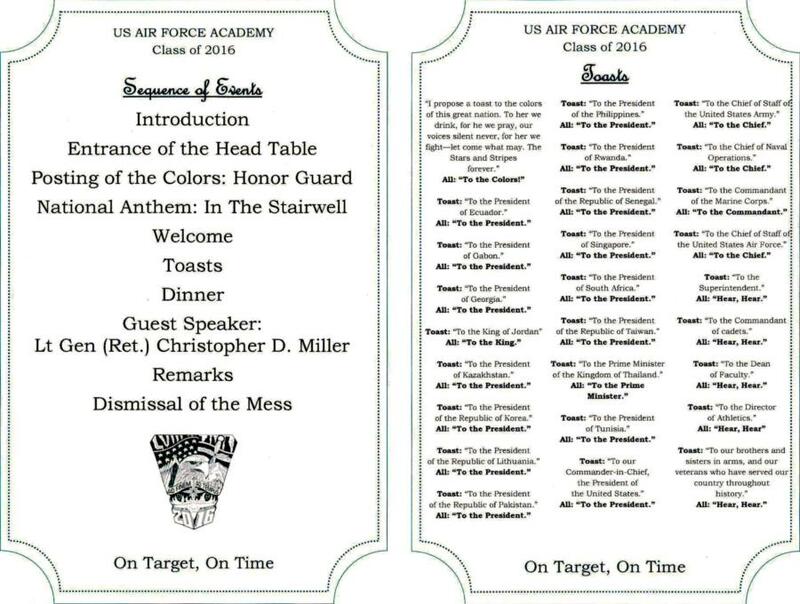 Cadets also receive their base assignments at this dinner as well. Here are two videos clips from the evening to give you a taste of the ceremony. The Welcome and Toasts given by C1C He and C1C George. Guest Speaker Lt Gen (Ret) Christopher Miller as well as closing words from Col Holland and Lt Gen Johnson before the dismissal of the class of 2016. 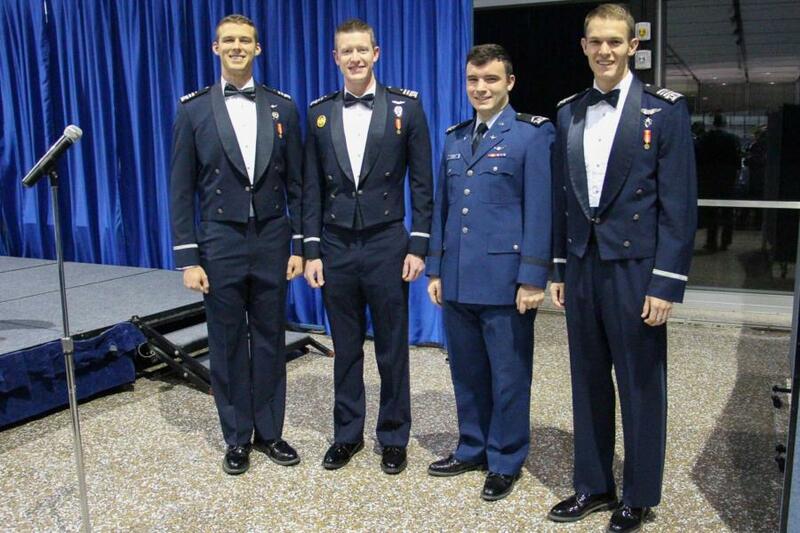 Cadets involved with In The Stairwell sang the National Anthem for the dinner. 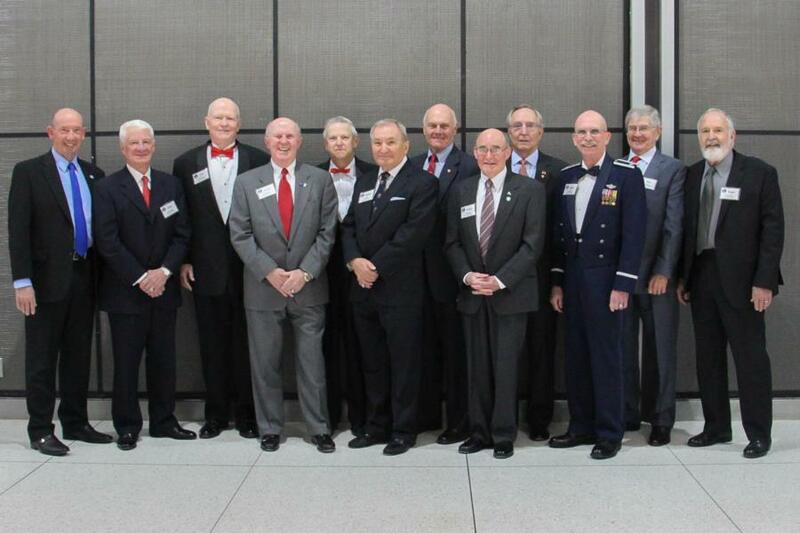 The 12 Legacy Members from the class of 1966 were also in attendance for the evening to celebrate 100s night with the class of 2016. Each of them sat at the squadron tables they were in when they attended the Academy. The Cadets looked dashing in their mess dress for the evening. 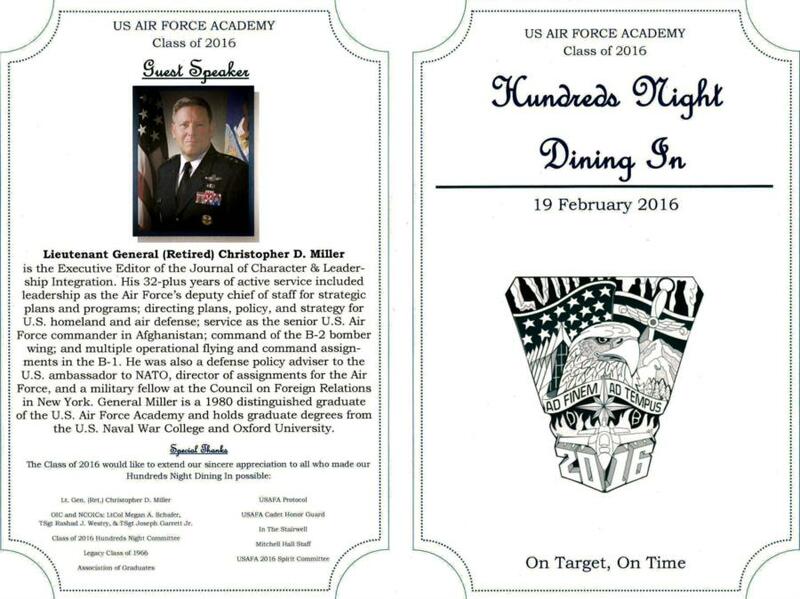 If you'd like to read some biography about the Guest Speaker Lt Gen (Ret) Miller from the evening, we were able to get a copy of the brochure. Pictured below. To view the rest of the pictures taken from the evening go to Classes - 2016 - 100th Night. Or click the link below.